Marketing Tip: - Interactive Program Opportunities: Have you turned your web site into the strategic business building enterprise it should be? Maximize your site's capabilities. You've invested a tremendous amount of time and expertise into developing and refining your site to meet your customer's demands. Engage your customers...build an emotional bond between people and your brand. Let us show you how the interactive programs and games we've created generated new business for: 3M, Dunkin' Donuts, Starwood, PENTAX, JPMorgan Chase and many more. We're serious when it comes to interactive programs and games. Let us show you Howe Marketing Works. Call 203-855-8080 or email bob@howemarketingworks.com. 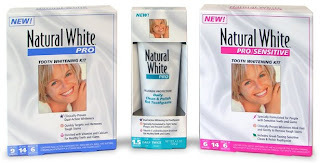 When Natural White Tooth Whitening introduced its new line of 7 whitening products to the trade and consumers it turned to Howe Marketing Works Creative Director Steve Bodkin. Confronting daunting competition from the likes of Colgate and Procter & Gamble, Steve had to differentiate Natural White from its imposing competitors. How? Naturally, with a beautiful “end-benefit” smile and break through packaging that left the competition looking “long-in-tooth”. Steve also generated a series of FSI’s to support the launch of Natural White. 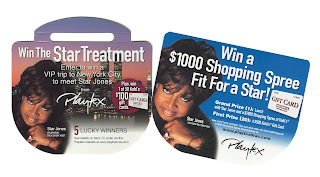 When Playtex intimate apparel needed to simultaneously upgrade their image and respond to key customer (Kohl’s) requests for a breakthrough program, Bob worked with Reach Marketing to create a totally integrated promotion featuring then ABC-TV View host Star Jones. From a rave-review presentation at Kohl’s Headquarters to flawless execution (advertising, on-pack sweepstakes, in-store displays and personal appearances), the program was so successful it was repeated in Year II. 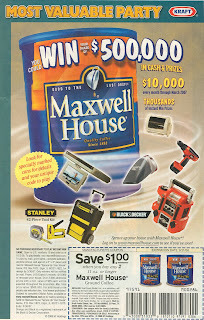 Maxwell House Coffee requested Howe Marketing Works provide marketing partners for their 18-month “Spruce Up Your House with Maxwell House” national program. Bob teamed with SAI Marketing to secure two partners (Stanley Tools and Black & Decker) who each contributed over $250,000 in branded merchandise prizes. The partners were featured on over 100 million Maxwell House packages and received TV, radio, FSI and website support in excess of $5 million. The program achieved all consumer and trade objectives. How do you stop your prime prospects dead in their tracks at your #1 customer (Home Depot)? It’s simple...with a flashing red traffic light. 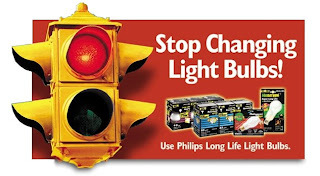 When Philips Light Bulbs needed a major event in support of their Long Life Light Bulbs, Bob worked with Reach Marketing to create, develop and execute the “Stop Changing Light Bulbs!” promotion. The 4’x3’ die-cut, 3-dimensional signage with blinking traffic light stopped traffic and built sales in all Home Depots. How do you make SaraLee/Hanesbrands #1 customer fall in love with a new product line? You introduce the Lovable line of intimate apparel, with a heart stopping promotion on Valentine’s Day, in the Big Apple. Working with Reach Marketing, Bob helped develop, manage and execute the successful Valentine’s Day introduction of Lovable at Kmart. The blockbuster program featured #1 R&B artist Brian McKnight at Kmart signing autographs and performing at a fashion show for press and consumers, complete in-store merchandising (displays, sweepstakes, shopping bags, bag stuffers, etc. ), radio and print advertising and web cast. Just My Size, the Hanesbrands line for plus-size women, needed a program to generate sales for its biggest customer…Walmart. Howe Marketing Works teamed with a Just My Size to create a national satellite media fashion show for the A.M./Morning talk shows. 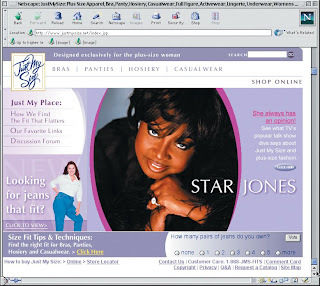 To ensure maximum exposure TV celebrity Star Jones was commissioned to host the fashion show. The show cleared in major markets and featured plus-size models noting that all featured apparel items could be purchased at Walmart. To build Aleve volume among chain drug customers, Bob, working with Bayer Consumer Care, developed and executed a co-marketing program with the #1 toothpaste brand Colgate Total and Aleve. 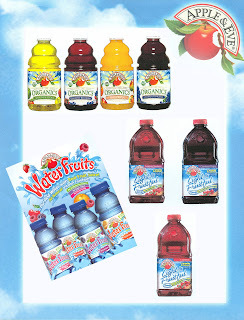 The brands partnered under their thematic umbrella strategies…“Long Lasting / All Day Strong”. 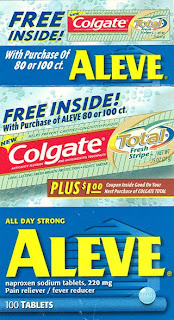 The program featured a free Total Toothpaste sample (plus $1 coupon) co-packed with 80-count Aleve in off shelf display units in key chain drug outlets. The program built long lasting retail support by exceeding distribution and sales goals. When it came time to reach new sales goals, it made sense to score consumer points with the “Free Kicker” Sweepstakes featuring the Super Bowl’s, winning field goal kicker, Adam Vinatieri. 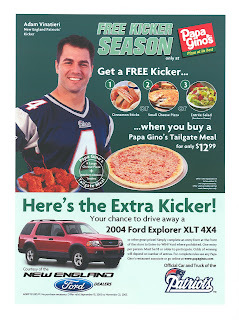 Eric made sure Papa Gino’s, the 250 outlet New England Pizza/Sandwich franchise, had just the spokesperson New England Patriot fans would react to in big numbers. The program increased sales over 18% and created a data base of 30,000 Papa Gino’s fans. The program scored big time and was repeated successfully in Year II. When Apple & Eve required business building ideas of biblical proportions, Eric answered the call. He was responsible for: the introduction of Apple & Eve Organic Juices, the development of two new product lines…Waterfruits and Light & Fruitful, the 3-year sponsorship for the Apple & Eve Newport Folk Festival (featuring Bob Dylan’s return to Newport), “The Stepford Wives” movie product placement and more. Bottom line, Yr. 1 ROI: $10MM+ in gross sales plus an estimated juicy $2 million net profit. 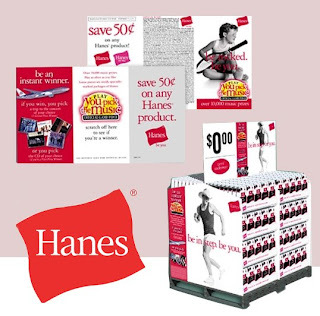 Hanes needed a major effort to 1) support its complete line of products in its all-important mass merchandiser class of trade and 2) complement its “be you” corporate branding theme. Bob worked with Reach to execute the “You Pick the Music” instant win promotion on 15,000 packages. The program delivered pallet size displays to all retailers and in the case of Walmart… double-size Power Pallets. 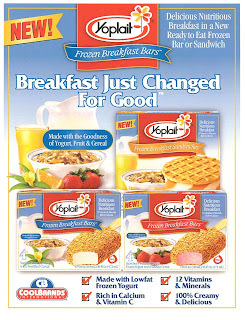 When it came time to add some snap, crackle and pop to the breakfast category, Eric was on the team that created, developed and executed the launch of a revolutionary new way to enjoy breakfast…Yoplait Frozen Yogurt Breakfast Bars and Sandwiches. The vitamin supplemented frozen yogurt treats broke the rules and created an entirely new breakfast category. We provide a full range of marketing services to a broad client base comprised of national marketers and promotion/marketing agencies. Services include: strategic planning, concept development, sales promotion, account specific programs and sports and event marketing programs. We provide creative solutions to your marketing opportunities...on strategy, on time, and yes, on budget. Bob founded Howe Marketing Works in 2003 after a successful marketing career in the packaged goods arena...on both the agency (BBDO/Grey/Reach Marketing) and client side (Bayer Consumer Care/Kraft). The opportunity to work with many of the brightest and most challenging clients as well as top-tier agency personnel provided the framework for the success of Howe Marketing Works....great people doing great work. Steve is the consumate creative pro. His business building creative is always on strategy and always provocative. Steve's left-brain marketing expertise combined with his right-brain award winning creative campaigns make him a multi-talented threat. His areas of expertise include: advertising, promotion, product design, packaging and corporate identity programs. Client categories include: packaged goods, high-tech, pharmaceutical and fashion . A client sampling: Twinings Tea of London, MasterCard, Beiersdorf Inc., Walt Disney Co., Natural White Tooth Whitening Kits and many more. Marc makes things happen! Marc and his team at YES, Inc. deliver brand building creative solutions in the areas of: sponsorship, turnkey sampling programs, account specific programs, trade shows and sports marketing programs and events. Marc has created successful programs for: AOL Time Warner, Continental Airlines, Dannon, Dole, PepsiCo, Aleve, Best Buy and more. His programs have involved sporting events from Minor League Baseball to the International JPMorgan Chase Corporate Challenge Series. Do these names ring a bell? Madonna, Aerosmith, Bon Jovi, Janet Jackson, Michael Jackson, Metallica....MTV, VHI, YouTube? Kathy has created and developed successful programs with all of them and more. If your brand needs that high-profile business building, "retailtainment" jolt, let Kathy and her team create a contemporary breakthrough program that will maximize your brands sales and awareness. From blockbuster concept to all the details that make a high profile media/celebrity program successful Kathy will make it happen. We'll sweat the details: full-scale venue management, on-site branding & sponsorships, negotiations & client relations, red carpet development & talent relations, pre/post-party green room production and related contests & sweepstakes, etc. Dennis is very serious when it comes to fun and games. He can provide your brand with "winning" on-line promotions utilizing proven and proprietary game technology. Having created, tracked and measured hundreds of games and promotions, we know which sweepstakes, contest or e-learning tactic to recommend to help you influence behavior and gain loyal customers. Dennis has worked with Campbell's Soup, American Express, Dunkin Donuts, 3M, Pillsbury and more. Need that special on-line promotion that generates its' own PR? Dennis created the game that gave away the world's most valuable baseball trading card (Honus Wagner) on the Larry King Show. Let us make your brand an online celebrity! Eric generates the "Why Didn't We Think of That?" ideas and concepts that stop our clients dead in their tracks. We provide the big ideas that: create new categories, turn your retail outlet into a bold branding statement, make each of your SKU's an intregal part of a patented loyalty program. Find out: Why Ikea will have their competitors green with envy; How Yoplait gave breakfast a whole new twist; How Nature Made Vitamins increased revenue +1o% by minding it's "ABC's". Let us show you Howe Marketing Works!